Mention Bratislava and most people will scratch their heads working out to which European country it belongs. 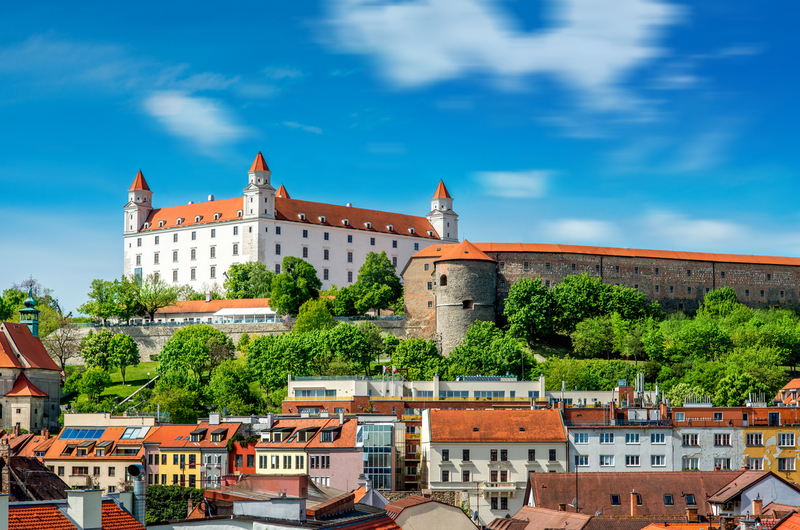 It’s Slovakia, in case you’re wondering – one Europe’s smallest capitals and a city still relatively new to tourism. Here you can find a distinctive Central European atmosphere alongside a fascinating meld of medieval architecture and Soviet-built tenements. Crystal Mozart’s excursion here offers an amazing overview, and as you moor close to the largely pedestrianised old town, it’s an easy stroll from the ship to the best of the sights. Even better, the excursion finishes with a Slovak beer experience in one of the city’s top taverns. But more of that later. Don’t miss the gorgeously billowy Opera House in Hviezdoslavovo Square, Viennese designed, and a handsome remnant of Bratislava’s time under Austro-Hungarian rule. This square is also where Alexander Dubcek’s attempts to bring a human face to socialism were crushed by the invasion of 5,000 Soviet tanks in 1968. Cut through the jumble of cobbled streets, pausing to admire the steep red-tiled rooftops of medieval buildings, until you reach Hlavne Namestie, the old town’s main square. Crowned by the handsome town hall and its Baroque clock tower (look out for Napoleon’s cannonball still embedded in its walls), it also has colourful food kiosks where locals browse and nibble on savoury-stuffed pancakes. Cut through the town hall’s archway and you end up at St Martin’s Cathedral, a dinky three-naved Gothic church where 19 Hungarian kings and queens were crowned. If you’re hungry, pop into Kaffe Mayer, a Habsburg-era coffee house serving up 37 different types of cake at prices cheaper than in Vienna. Thirsty? Well, the highlight of this excursion is a beer tasting at Sladovna Beer Keller. This lovely brick-arched tavern offers tastings of three different local beers (do try the 12% Zlaty Bazant) served up with gargantuan warm pretzels.